Here are some photos of flying birds that I’ve taken over these past several weeks. Sorry that link posted twice!! This is the eamil the link came from, sent to a group of Washington birders. On our recent trip to southern France, we were able to visit their largest wetland, where the star player is the Greater Flamingo. We have seen flamingos in a number of different places around the world but this was the first time we were close enough to photograph/video their interaction and observe their behavior and flight. It was that wonderful experience I tried to capture in this video. Here is the link, hope you enjoy it and feel free to share it! I enjoyed watching that beautiful video. Thank you very much! 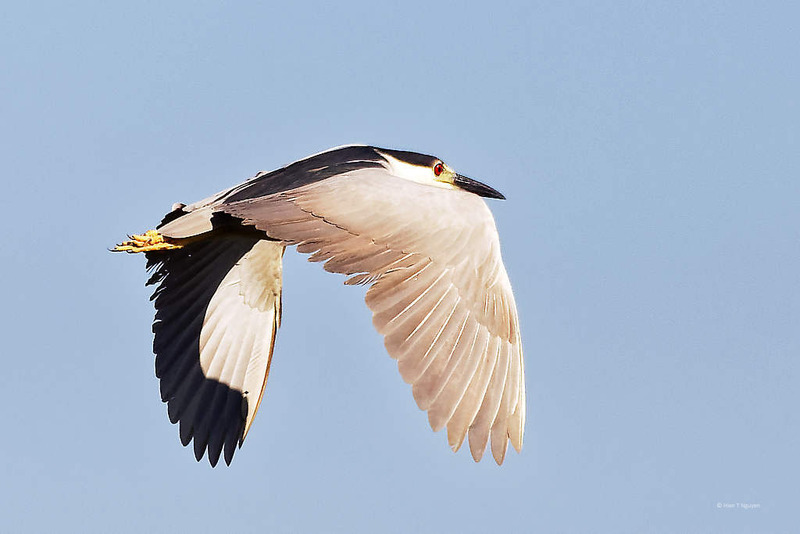 Stunned by the in-flight performances of the beautiful birds,Hien,and of course by the performance of the skillful photographer. 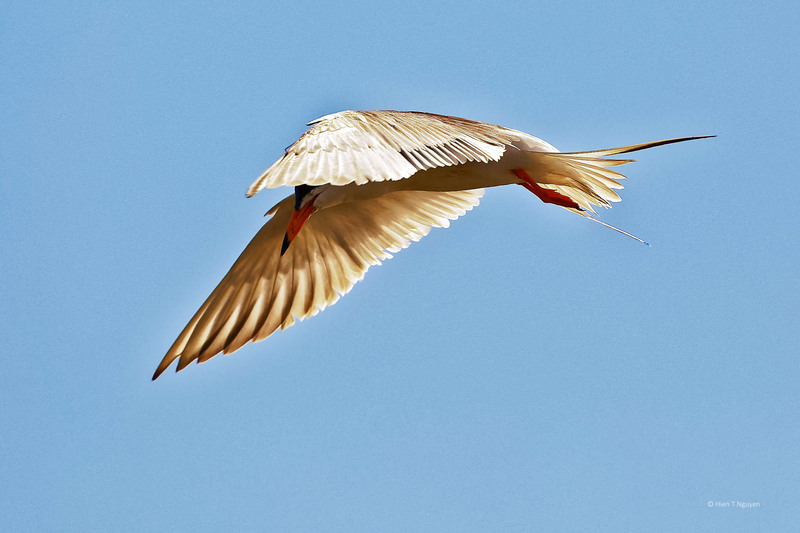 Like Nes says below, it takes patience to get these bird-in-flight photos! Thank you Doda! They are stunning!! It is so difficult capturing a bird in flight in full focus. Love these!! Great shots! BIF takes some patience! They do take some patience. One out of 10 may be a good one. Beautiful captures. 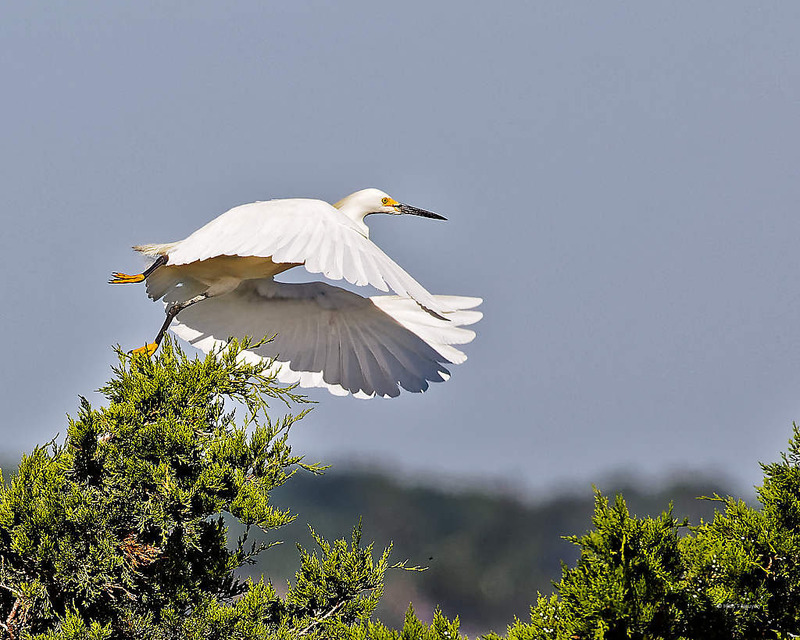 Love the wing position and background of the egret image. Hien–these are wonderful. Does National Geographic know about you?! 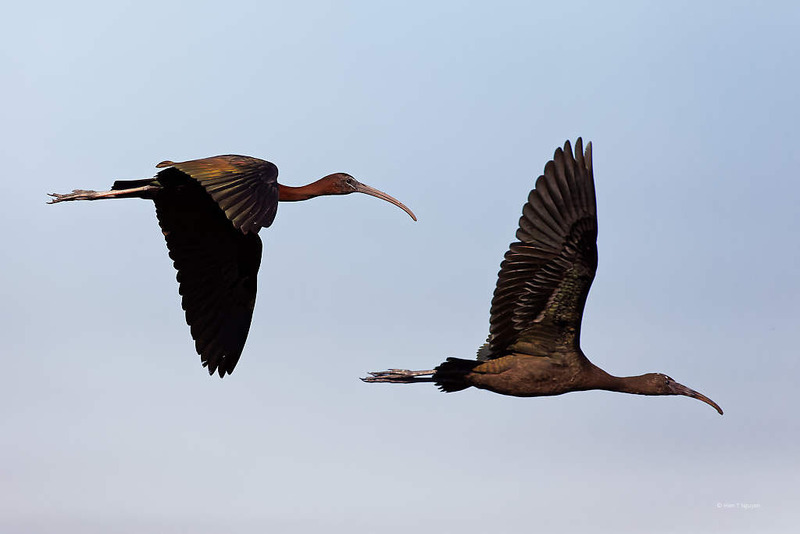 The ibises–one up, one down. Fantastic shot. 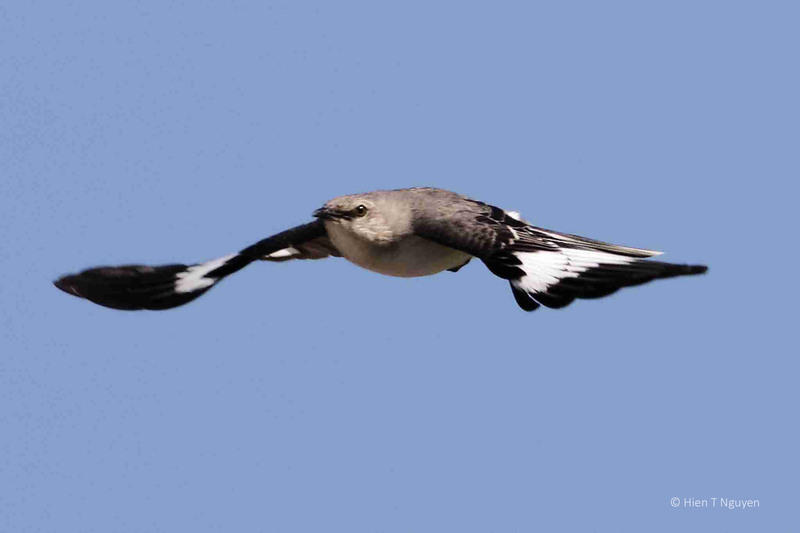 They’re all beautiful and all great images, but the mockingbird is truly impressive because they are so much more difficult to photograph in flight. Not that larger birds are easy, but I find it harder to keep smaller birds in the viewfinder. Love the beautiful detail of the Egret’s wings. Very beautiful; especially the ibises.